This FREE annual community event is designed to help 120+ low-income expectant and new parents prepare for the arrival of their new babies by providing much needed items and parenting resources. Our chapter has partnered with local health care agencies and medical professionals to educate and encourage the new parents. In addition to gift giving, families also participated in workshops on childhood obesity, breast feeding, and prenatal care. The National Coalition of 100 Black Women – West Palm Chapter works with many generous community partners and donors to collect new baby supplies for babies first year of care. 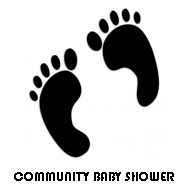 This baby shower provides a platform for us to share experiences and build relationships. As a result, we hope to help families make a positive change.